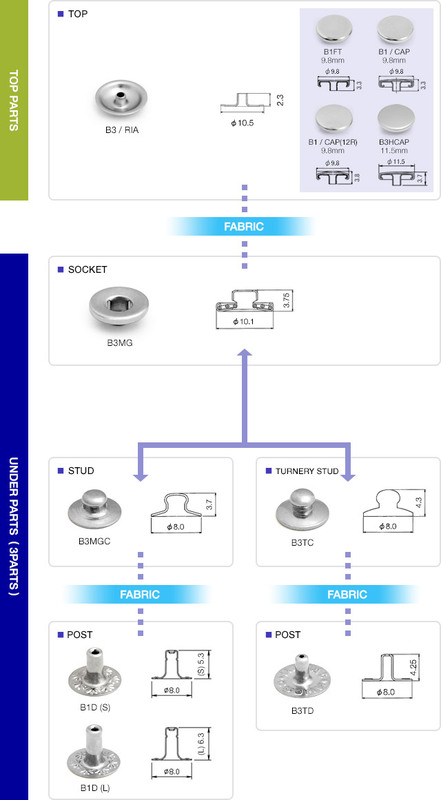 Try our new style socket and stud. Simple and elegant feature for all the garments. Especially great for purses, goods and accessories. » High Crown No.3 is also available.